The department was started in the year 2006. The present intake of undergraduate program is 60 students. The department is equipped with all necessary laboratory and infrastructure facilities. Keeping in view the vision of the institute, the department of ISE is untiringly working to achieve excellence in various aspects such as: student’s performance, effective teacher-student relationship, imparting quality education to students and imbibing good human qualities in students. Anyone can observe that information technology (IT) is a rapidly evolving field. New ideas and technologies are proposed, developed and introduced almost daily. Nonetheless, the aim of IT has always been the same, to address the challenges of the effective use of computer based technologies to port personal, organizational, & social needs knowledge based practices. Today’s competitive environment IT Engineers are backbone of the successful business Computer based information can be applied in various fields in research & development, marketing & finance. Department is also in touch with Industrial needs and new technologies. The department has excellent facility like 106-Nos: Intel Core2Duo PCs with LAN Connection, 20Mbps Leased Line connectivity, Regular organization of Workshops, Seminars, Servers – IBM Series – Four Nos. etc. There are highly qualified and experienced staff members, who always put in their best efforts to ensure that quality education is imparted to students. The department has established a reputation for its excellent results and placements. Apart from a qualified staff, the department has state-of-the-art laboratories and latest software’s. 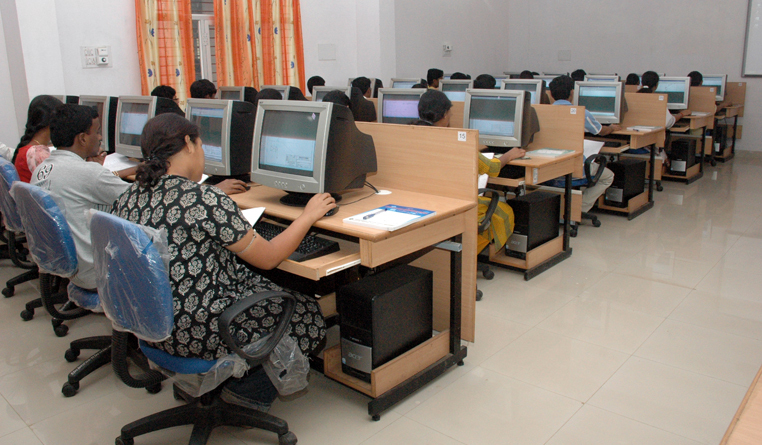 Students are trained in computer programming for engineering applications to meet the challenges of the IT industry. The Department has an active Forum “INFOSEA” which caters necessary inputs for all-round development of the students through various Technical and non-Technical activities conducted every week on a regular basis. Students are encouraged to participate in extracurricular, co-curricular and sports activities apart from focusing on academics and placement. To provide value added Programmes to enhance the knowledge of our students and in turn make them to develop competency in global technical challenges. To organize student level seminars / technical paper presentation / project exhibition to explore hidden talents of our students. To setup and equip different laboratories so as to meet both curriculum and Industry requirements. To craft a research centre to facilitate student and faculty members to pursue their postgraduate and Doctoral degrees.